The functionality and stylish appearance of the OT-200 is primarily designed to the hospitality environment. It has a compact size, lightweight design and a high durability. Orders can be transmitted directly from the OT-200 to the bar or kitchen via Wi-Fi i.e. employees work more efficient instead of walking back and forth. The OT-200 is a cost effective handheld terminal, which will enhance any hospitality solution and can be used in many other business environments as well. 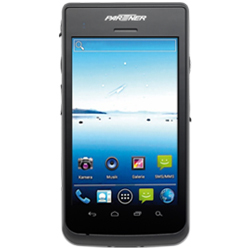 OT-300, one of the world’s leading android handheld computer, offers more features and functionality, in a field-proven rugged form factor, than any other device in its class. The turbocharged OT-300 addresses business critical mobility needs by maximizing processing power, rugged design, application flexibility, data capture capabilities and connectivity options. The OT-300 offers a lot of options: MSR, Barcode scanner, NFC, RFID and IC Card. These various functions enable enterprises to standardize on a single handheld computer to support workers inside and outside. By adding a field-proven ergonomic design, it is easier to carry and easier to use. 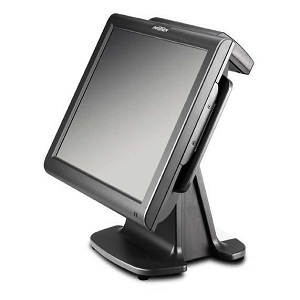 The OT-RF is a revolutionary wireless touchscreen order terminal designed for the hospitality market. Orders are safely transmitted directly from the OT-RF to the bar or kitchen via radio frequency. Using radio frequency as the wireless communication standard, it provides seamless mobile connectivity over durations up to 70 m and guarantees safe transmissions of data as it is not affected by WiFi traffic or room congestion. 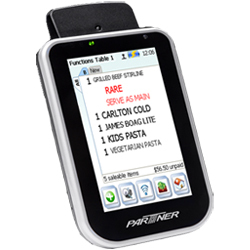 The OT-RF comes with Waiter PAD CE (optional) which inspires by simple to use icons, added gestures to speed up order taking and userdefinable menu. The functional stylish ergonomic design of the OT-RF is particularly designed for moving constantly throughout noisy indoor and outdoor environments. Not only at restaurants, but also at sport or music events, corporate hospitality, leisure clubs, VIP lounges, stock taking and many more, mobile order taking can be applied now at its best. 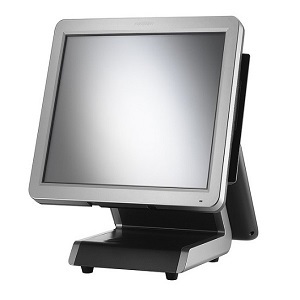 The PM-116 is the new compact and modern POS Monitor. It is small and has a light weight design. The monitor has a modern and stylish design. Through various applications it fits in many different business environments such as retail, hospitality, speciality shops etc. The monitor can be used as Digital Signage, Customer Display, and Touchscreen or as Operator Display as well as in many other business areas. 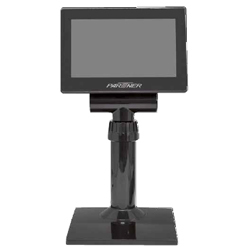 Through the pole stand the monitor is adjustable and can be fixed easily in the required position by the individual operator. The Shuttle SG-15 + is an entry level, small and attractive price checker with latest technology. Interfacing is either through Wireless RF or wired Ethernet. The bright display has, depending on the font set, 3 or 5 lines and can display up to 20 characters per line. Size and design (three colours) help to install the Shuttle in different environments. This flexibility of installation is enhanced by the optional Power–over–Ethernet function. 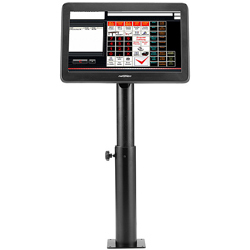 The SM-7 is a 7” TFT LCD Display in the format of 16:9 and the ideal extension for your POS system to display customer information. The display panel is protected by a glass that meets JIS D0202 standard and thus provides best prevention of dust and unexpected water spilling. SM-7 provides user friendly VESA mounting mechanism so it’s easy to attach with a bracket and hang on a wall or integrate with a POS system. The SM-7 is designed with one standard USB 2.0 cable, plug and play. You can adjust height of the pole without any tool. Also the USB cable will be hidden inside of the pole for neat installation. The SP-1000 from Partner Tech is a dual core smart POS system designed to meet the needs for POS and customer service applications. 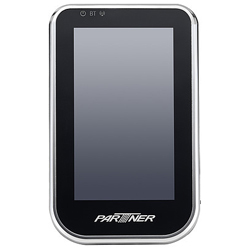 A fanless 1.8 GHz dual core ATOM processor and up to 4GB of RAM are combined in an elegant touch screen unit. Fanless technology guarantees reliability and low maintenance. The flexible monitor can be adjusted to meet the requirements of any workplace – whether with convenient Wall Mount or Wide Tilt Angle. For Digital Signage Application or as Customer Display a POS Monitor PM-116 (11.6‘‘) can be installed on the backside of the terminal. 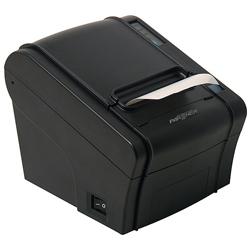 The printer RP-320 is a thermal printer solution for retail and hospitality environments that require fast and quiet printing. Furthermore it supports a full range of fonts for different countries. The compact size and integrated wall mounting make the reliable model ideal for many applications. A wide range of interfaces and port options allow easy installation and simple integration to either POS environments or POS solutions. The RP-320 is equipped with a signal tone that can be remotely controlled and making it ideal for kitchen uses. Today´s customers business is constantly demanding more from their POS system. The business requires for POS capabilities is higher than ever. Partner Tech, your true Partner is POS, developed the new compact and powerful 1.8GHz Dual Core WT-100 to meet both of these trends: increased power and cost effectiveness. The WT-100, housed in a beautiful and elegant aluminium body, utilizes a fanless dual core ATOM processor with up to 4GB of RAM, to meet the today´s demand for performance and reliability, Partner Tech products are known for. 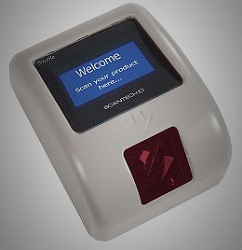 To round up the WT-100 POS system, a wide range of up-to-date options are available.